HOW TO START PUTTING YOU FIRST WITHOUT FEELING GUILTY | taught by Siobhan S.
You're tired. You've been pouring from an empty cup for way too long. You’re going through the motions of life and you’re sick of it! You’re tired of your people pleasing ways. It has left you drained, overworked and underappreciated. You feel like every single family member is pulling on you and you just feel so guilty. Guilty that you don’t have enough time for them but most of all guilty that you don’t have time for YOU. You need a real change. What you really need is to learn how to put you first so you’re no longer pouring from an empty cup. It’s time for you to start making time for the most important person in your life…. YOU. You’ll set realistic goals that even you can stick to. You go, girl! "Before taking the "Say Yes To You Course", I was stuck. Taking this program was the best decision that I have ever made. Thank you so much for allowing God to use you, so you can be a blessing to others. I have been working on this project for a long time. I am now motivated to walk this thing out and finish it! If you are tired of going through the motions of life and want to get unstuck...I highly recommend you taking the "Say Yes To You" program!" ~ Jamiliah R.
Imagine if you chose to do nothing. Where will you be this time next year? You would have wasted another 365 days that you could have been truly living. It will cost you new experiences, happiness, and freedom. Don't allow where you are to cause you to become emotionally bankrupt. You have to do something different to get a different result. "I’ve achieved so many things since I started e-course. I feel as though I’m one step closer to knowing my purpose in life. I loved the fact that I could work at my own pace and print out the workbooks for later." -Chrissy Y. 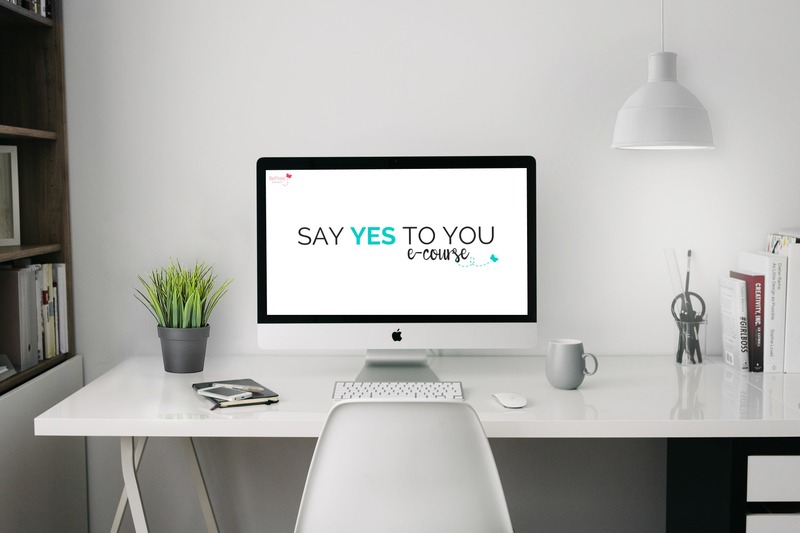 When does the Say Yes To You e-course start and finish? The course starts once you purchase the program and log in. This is a self-paced e-course so don’t feel pressured to do everything at once. However, be intentional about completing the lessons and applying what you learn. You'll get out of it, what you put in. Yes, I’ve included worksheets, notes, checklist, exercises to complement each lesson. What is the format of the e-course? This e-course is online that includes text, audio, and worksheets. Who is this course specifically for? This course is specifically for you if you feel stuck and you’re consumed by negative thoughts. It’s designed to be the starting point to help to begin to shift your way of thinking and change the direction of your life so you can be free. Will this course really help me change my negative mindset? This course will provide you with the information you need to start making you a priority. You're responsible for doing the work and applying what you learn. The people that are most successful are the ones that approach the course with an open mind and will put in the work. If you have any questions email me at hello@befreeproject.com.